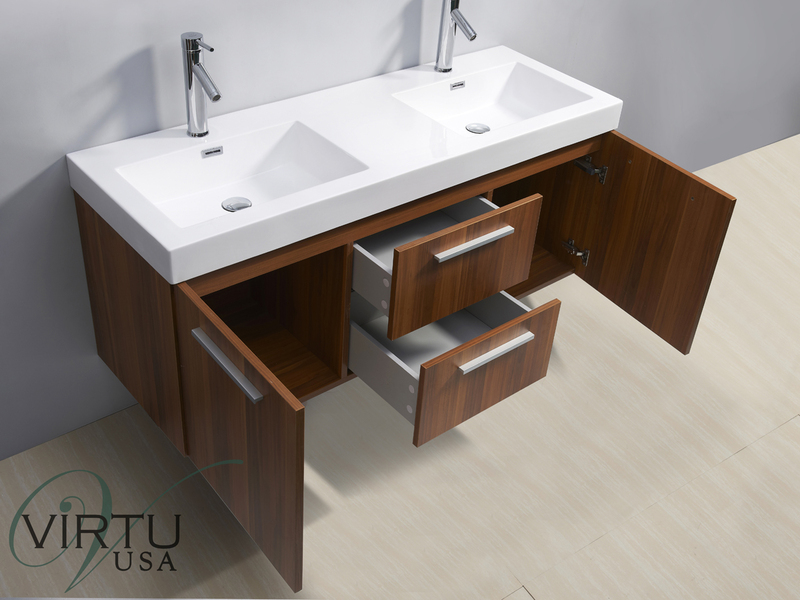 The Plum finish on the 54" Midori Double Sink Vanity brings out a gorgeously warm feel that will completely engulf your bathroom in a stylish fashion. 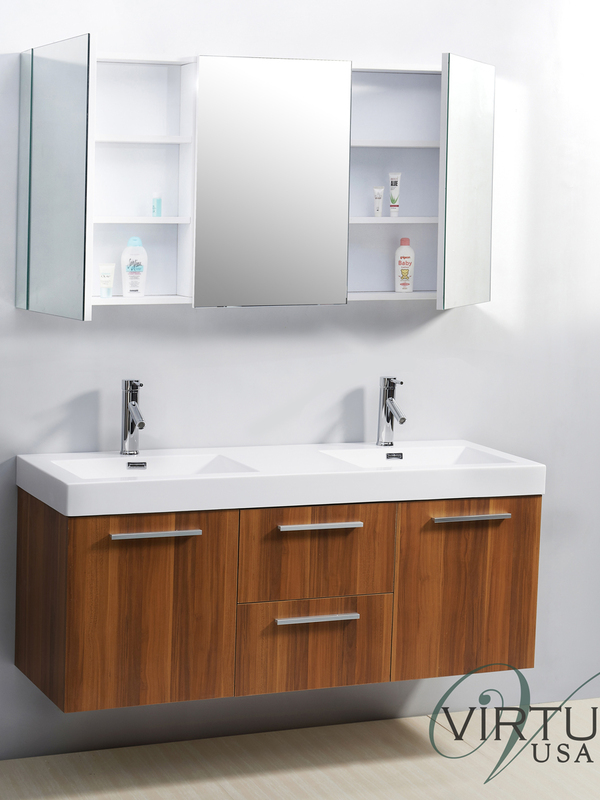 Made from plywood and composite with a melamine finish, your new vanity is designed to be both maintenance free and water resistant. 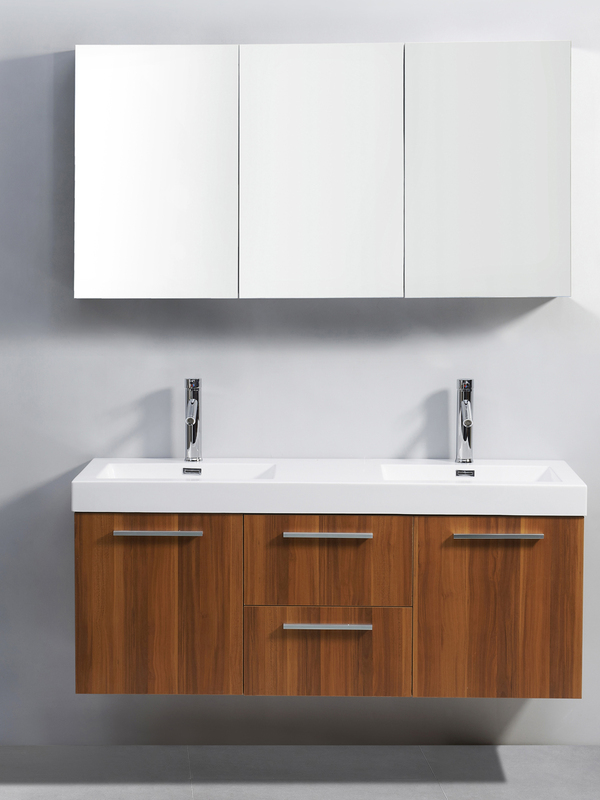 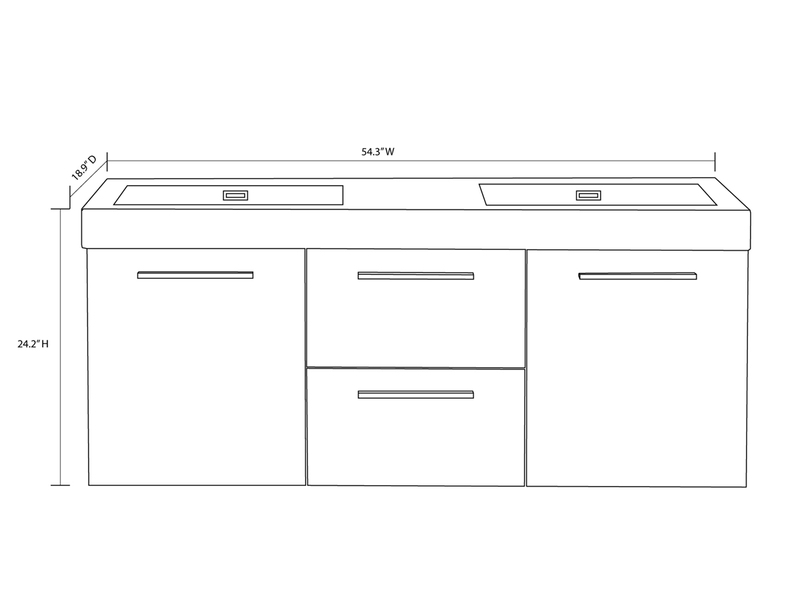 Its two functional drawers and two single-door cabinets offer plenty of storage space and are all equipped with soft-closing BLUM hardware. 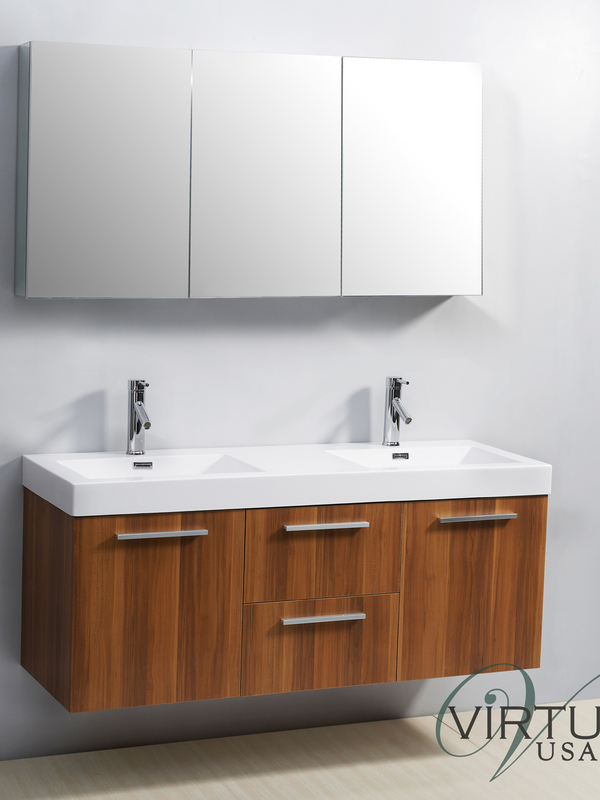 Chrome faucets and a polymarble integrated sink top completes the Midori with a beautifully modern appeal.